Bullying laws help. 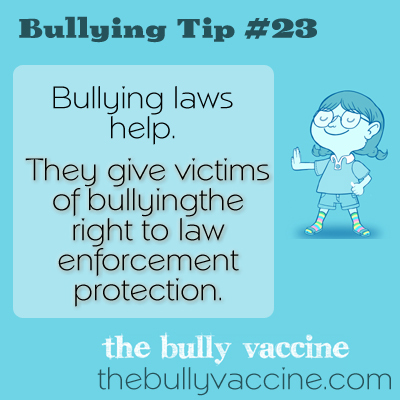 They give victims of bullying the right to law enforcement protection. While going to the police should be a last resort when dealing with bullying, it is good to know you have that option if all else fails.